C+M TRAMEC AG is an innovative mechanical engineering company in the high-tech economic area of Liechtenstein and Switzerland. Our CENSOR sorting machines are leading in the field of high-performance measurement technology and automatic sorting machines for the roller-bearing industry. Measuring and subsequent measuring/grading of roller bodies is a essential component in terms of quality control and assurance processes in the bearing industry. Our proven CENSOR measuring and sorting machines for decades are guarantors for quality assurance in the bearing industry. 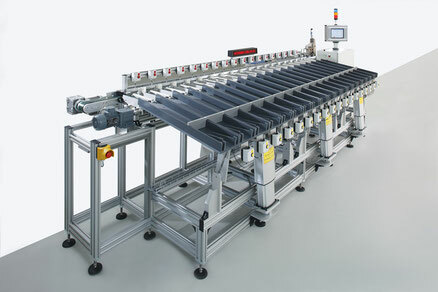 CENSOR Sorting machines are convincing by their measuring accuracy and performance. They are outstanding due to their practical approach and customer oriented innovations. Trust in us - the worldwide leading manufacturer of measuring and sorting machines for roller bodies!